Startup companies need IT infrastructure and security, and that's what we live and breathe at AgileSecOps. The LAMP stack, AWS, and opensource are a few of the technologies we are passionate about. We are fanatics about DevOps, a must for successful startups today. We are also well-versed in the payment card industry and many other security standards such as HIPAA, ISO 27001, and GDPR. Letting us assist you in these areas lets you focus on your core business and gets you there faster. Our skill set encompasses many verticals, including web technologies, healthcare, finance, hospitality, education, energy and utilities, science, and government. We have a talented staff of engineers that love the challenge, excitement, and fast pace of working on new ventures. Security is a very hot topic today. It can ruin a company if not done correctly. Most startups don't really think about security until the later stages and then it's bolted on in a way that looks and feels messy. You just can't bolt on a security program and call it good. Something that works well for one company might not be the best for another. Security is something that works best when it's ingrained into the culture. People adopt it because they believe in it and understand it. AgileSecOps specializes in helping companies with security direction and guidance. I call it CISO as a Service. CISO as a Service is like having an attorney on call. You don't need one full-time yet, but you could really use the advice at certain times. We can help you position yourself, in regards to security and compliance, to get ahead of your competition. Within the CISO as a Service engagement, we can assist with any Information Security or Information Technology need that your company might have. AgileSecOps performs all sorts of work ranging from creating policies/procedures, compliance, and even implementing security on systems. Take a look at the other services, in addition to the security aspect, that AgileSecOps offers. We provide deep discounts for startups and believe that we can help accelerate their business. 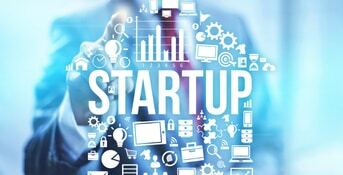 Managed Services offering to kickstart your startup with limited staffing. We would love to just entertain the initial phone conversation on how we can help. One challenge that organizations face is how to gain visibility into their IT systems and resources. Many times, businesses want to see the status of their technical resources from multiple perspectives. They need to know whether their web sites are vulnerable, what risks are inherent in their applications, and how well their internal IT systems are architected and operating. AgileSecOps has the expertise to give clients the IT visibility they need to make strategic and tactical decisions. Companies with servers that are accessible through the Internet can be vulnerable to attacks by malicious users. AgileSecOps can provide clients with peace of mind about the security of such servers by performing external vulnerability assessments to pinpoint specific risks and identifying how to best protect their systems. Companies that are in the technology business, particularly those that develop their own software for either internal or commercial use, often come to AgileSecOps to get an external perspective on the security or performance of these tools. AgileSecOps will take an objective look at the software using industry best practices and standards, and will make recommendations about how to effectively and practically improve the security and performance of the architecture. These projects, in conjunction with an internal security assessment, can give an organization a cohesive look at its existing IT posture. Understanding security from within the organization is key, as it can help businesses fortify themselves from the inside, dramatically strengthening their overall security position. Workers may not know how to avoid phishing and other types of attacks. Investing in regular security training is a great way to prevent attacks. The U.S. is consistently one of the most phished nations, and phishing can lead to ransomware. AgileSecOps can assist in creating a layered defense by implementing strong backup and business continuity plans. As technology changes the way students learn, teachers teach, and administrators manage their schools and districts, AgileSecOps is there to serve as a valued partner to enable educational organizations to take advantage of technological advances quickly and effectively. For many educational organizations and institutions, technology is perceived as a burden—at least when it comes to the need for ongoing maintenance and attention. And sometimes, these organizations simply do not have the resources or expertise required for regular IT maintenance, let alone the resources—or expertise—necessary for implementing initiatives. At AgileSecOps, we have the resources you need: We can assess your organization’s existing environment and make practical recommendations that take into account the realities and challenges you face. If you wish, AgileSecOps can implement the changes we’ve recommended, and we are also available to help with day-to-day operations if you do not have the desire or resources to handle it yourselves. Some educational organizations, however, are technology companies at heart, whose business is to deliver educational material, or whose primary clients are educators. These organizations also look to AgileSecOps to apply our best-practices expertise to their technical infrastructure. AgileSecOps can work with the organization's staff to evaluate and improve both the security and the performance of key resources. The financial industry encompasses a wide range of businesses, each of which faces similar rules and regulations, as well as issues specific to their organizations. 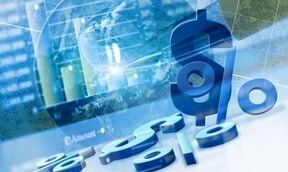 AgileSecOps's services tailored to the financial industry assist clients in overcoming their unique challenges while meeting broader regulatory and compliance obligations. Custom-fit solutions address the concerns of companies in the financial industry by providing the secure, highly available, high-performance IT infrastructure and architecture they need to support business operations, while meeting security and regulatory requirements. We provide ongoing operations services that can either augment an organization’s in-house technical staff or provide comprehensive operational coverage, network management, and 24x7 support. AgileSecOps can also assist clients with preparation or mitigation activities related to compliance with government or industry regulations, such as SOX, GLBA, and PCI. Healthcare IT is a unique beast. 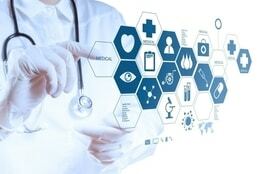 AgileSecOps’s services for healthcare providers are focused on bringing technology and people together in a rational way that reduces complexity and cost while increasing quality and compliance. Solid, dependable healthcare IT infrastructure increases clinician efficiency and can contribute to better patient outcomes. As healthcare providers implement and rely upon Electronic Medical Record (EMR) and electronic diagnostic systems, they need IT infrastructure that is highly available, secure, and high performing. AgileSecOps helps providers of all sizes evaluate, select, implement, and operate technology in a way that meets these needs in a cost-effective way. HIPAA compliance assessment and mitigation. IT infrastructure performance and availability assessment and management. IT governance evaluation and optimization, focused on aligning IT services with clinical and business objectives. The hospitality (aka tourism) industry is one of the main drivers of growth in many economies and depends largely on the availability of leisure time and disposable income; in the United States alone it’s a several-billion-dollar-a-year industry. With so many people taking advantage of the Internet to plan and book their own vacations and leisure activities, it is critical that organizations in this space be able to provide secure and efficient online experiences to their customers. AgileSecOps serves as a trusted partner to hospitality organizations to ensure that they leverage IT infrastructure and security to appropriately meet their customers’ online experience needs. In addition to being able to offer customers the ability to securely and efficiently book lodging, dining, and adventure activities such as skiing or a round of golf, hospitality vendors whose sites handle credit card information are also required to comply with industry regulations such as the Payment Card Industry Data Security Standard (PCI DSS). AgileSecOps is here to help our hospitality clients both meet and maintain PCI compliance.